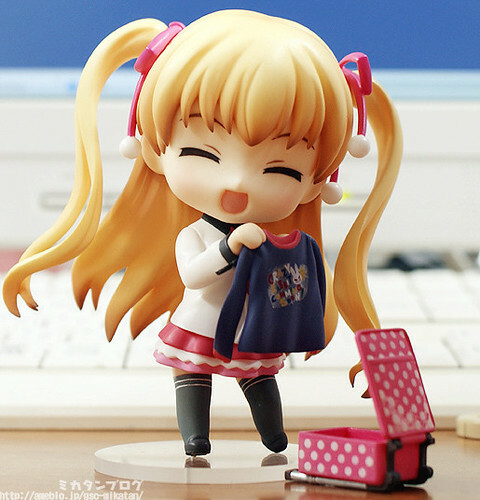 The little devil with beautiful blond twin tails! From the popular anime and light novel series, ‘Listen to Me, Girls. 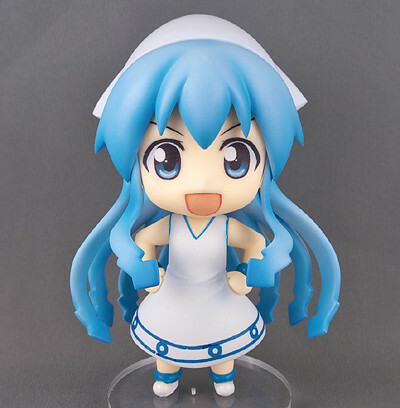 I Am Your Father!’ comes a Nendoroid of the second eldest of the three sisters – Miu Takanashi! 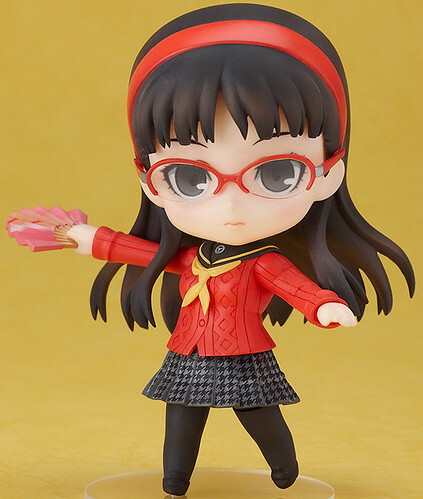 She is sculpted wearing the original shirt and tie outfit that was designed for the anime series. She comes with the suitcase she always uses when she visits Yuuta’s house, along with a long-sleeved T-shirt from the original light novel. She also comes with an extra skirt and arm part that allow you to pose her pulling her skirt up to show off her devilish side. 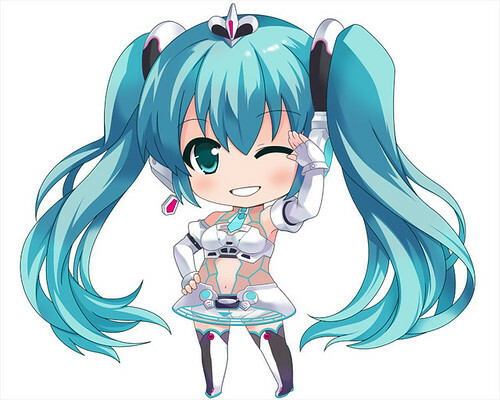 A cute addition to the Nendoroid world for both Miu fans and Nendoroid collectors! 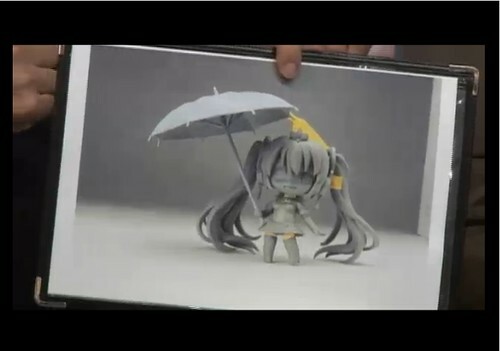 She is priced at usual 3500 Yen and scheduled for July release. OK, so … as I have not watched any episodes of Guilty Crown yet, I have no idea about her accessories and scenes. All I know that she will bring along three expressions there and several parts and accessories to re-create the scene from the anime. 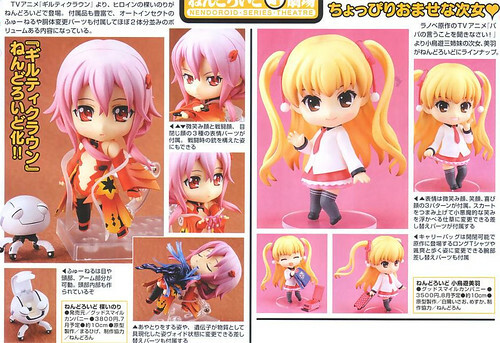 She will be priced at 3800 Yen. 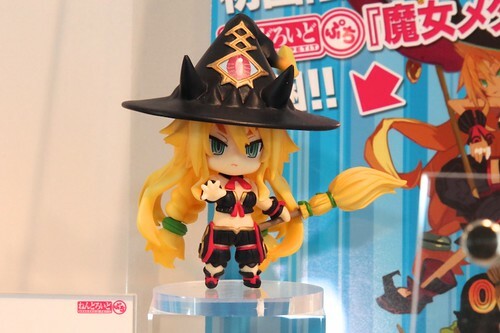 Meanwhile, another Nendoroid from an anime airing this season titled Papa no Iu Koto wo Kikinasai, comes Nendoroid Takanashi Miu, the second eldest of the three sisters in the series. She will bring along three expressions: smiling, teasing, and laughing. 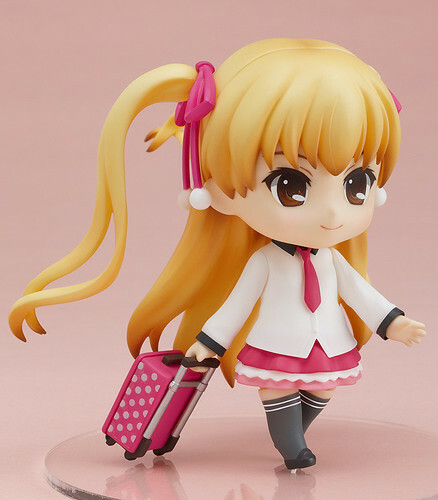 She will also come with several body parts and accessories, including the polka-dot suitcase, intended to re-create the scenes seen in the anime. 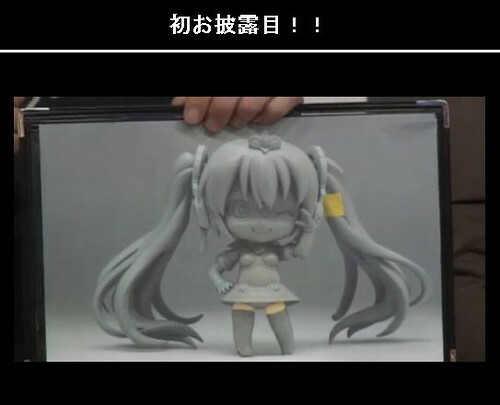 She will be priced at 3500 Yen.